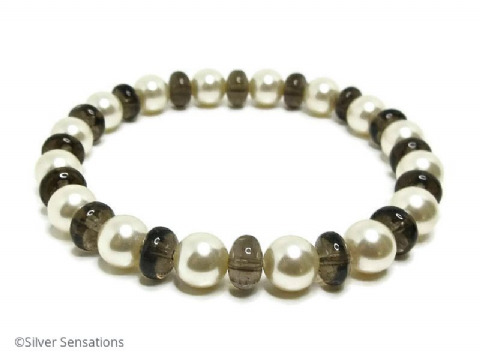 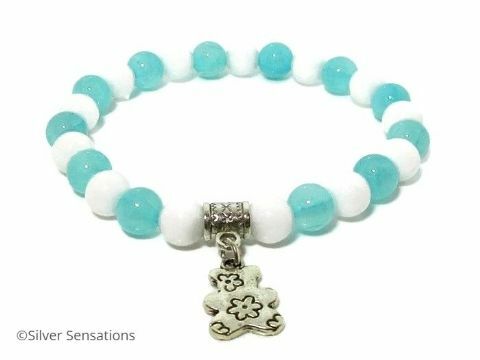 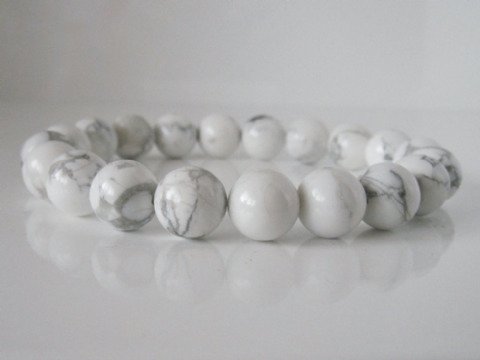 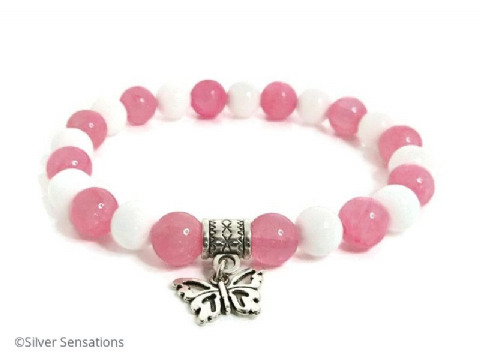 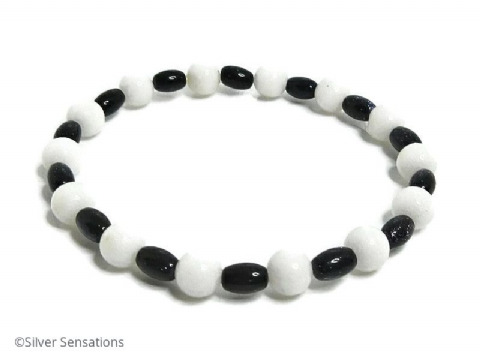 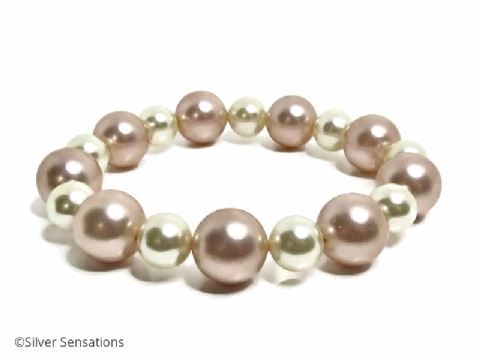 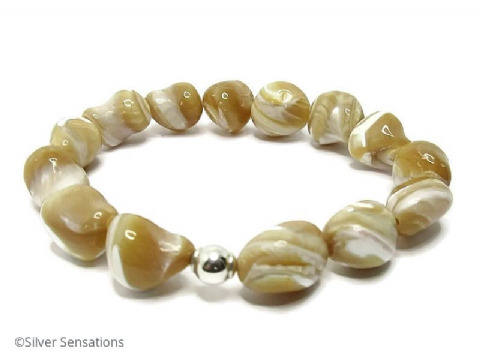 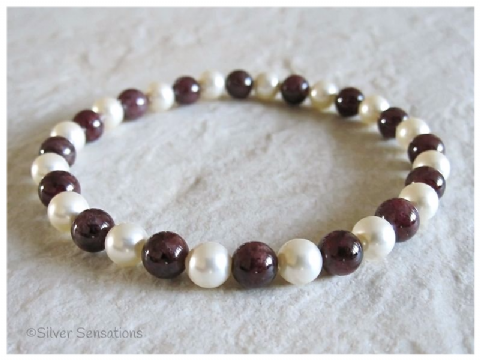 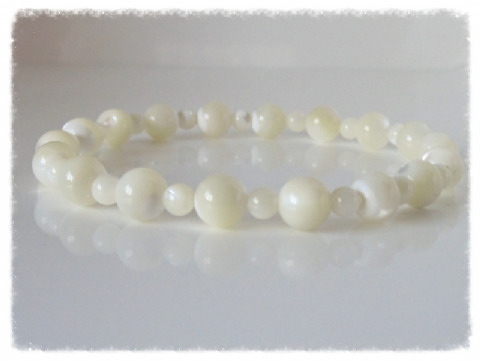 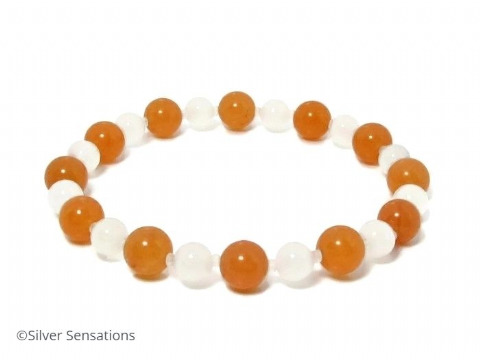 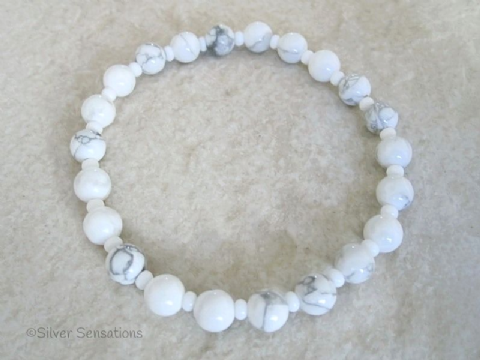 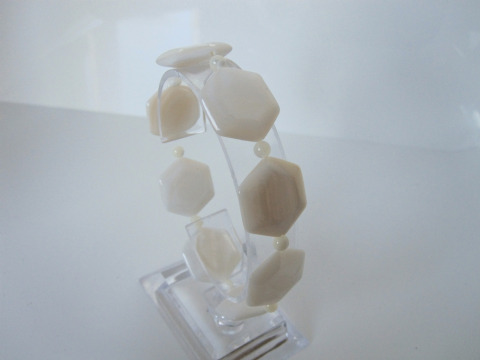 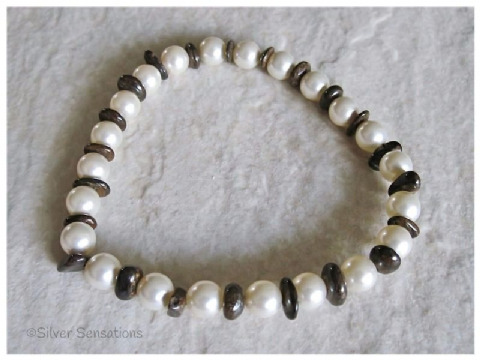 My handmade beaded bracelets in this category include white, cream & ivory semi precious gemstones. 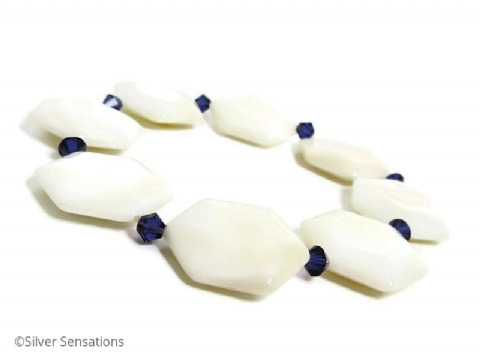 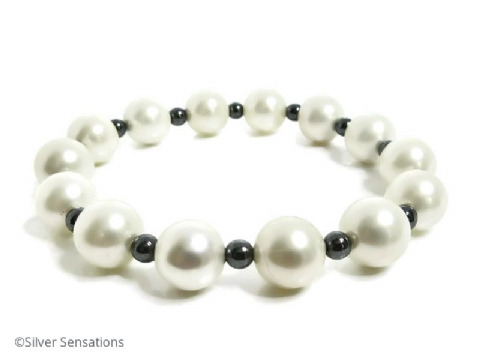 These include: White Shell Pearls, White Swarovski Pearls, Ivory Cream Swarovski Pearls, Ivory Coral, White River Shell, Ivory Mother of Pearl, White Howlite Turquoise, White Jade, Faceted White Shell, Snow White Agate & Ivory Cream Shell Pearls. 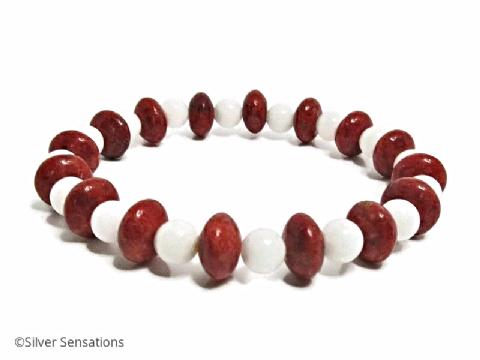 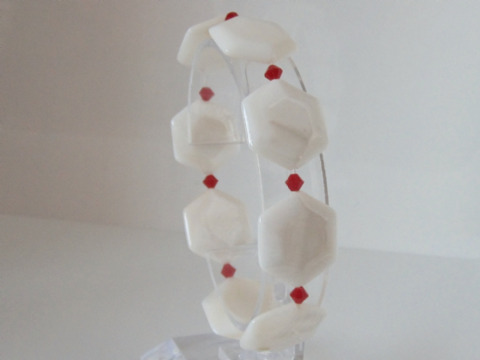 Glossy red & white bracelet.